Hi-Rez Studios, the developer of the popular free-to-play first-person shooterTribes: Ascend, the multiplayer online battle arena (MOBA) Smite, and the hero shooter Paladins: Champions of the Realm, recently opened its fourth studio in Seattle. “We are trying to cover all parts of the world,” says Localization Director Estelle Bailly. Headquartered in Alpharetta, Georgia, it has two other facilities in Brighton, UK, and Shenzhen, China. Its localization team is also growing. From two people initially working on two in-house languages in 2016, it now has eight people and six in-house languages. Two of the team members are based in Atlanta and are dedicated to Brazilian and Latam Spanish languages, according to Bailly. “The beta versions of our games are usually available in English, French, German, Polish, Portuguese (Brazilian), Simplified Chinese, Spanish, Turkish and Russian,” she says. 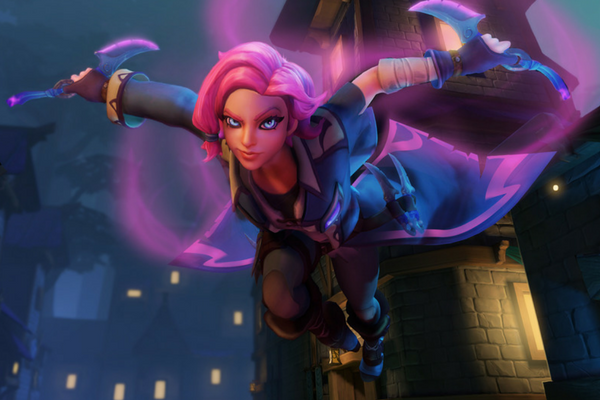 For the forthcoming release of its Paladins universe-based mobile game, Paladins Strike, however, Bailly says the studio plans to offer more languages such as Italian, Korean, Japanese, and Chinese. Bailly’s team also try to work hand in hand with the developers so that with each new game we can be better prepared for localization. Depending on the workload, the studio regularly outsources work to language service providers (LSPs). “For fully outsourced languages, we use two independent vendors: one for translation and one for LQA, so that the translation quality is constantly challenged but always in a constructive way,” she explains. Hi-Rez’s localization chief reveals that switching from one large multilingual vendor in charge of both translation and LQA to one vendor per language based on each target territory was a game changer. “It helped lower our localization costs by almost 30% for certain languages and improved our overall quality. By having direct contact with each of our vendors, we can get them more involved and motivated, which, in my opinion, is one of the keys to achieving higher quality,” she says. By hiring more linguistic specialists, the game developer was able to have a more direct impact on the quality of the localized versions of their games. The free-to-play multiplayer online battle arena Smite is turning five this month. Bailly stresses that they do not allow contractors to use machine translation. “There are other ways to achieve efficient costs-driven and quality-driven localizations. You can, for example, use a free online computer-assisted translation (CAT) tool, hire translation interns who will be more than happy to take their first steps and prove their skills in the video game industry,” she says. While Hi-Rez Studios uses XTM as a third-party translation productivity tool, they are also in the process of creating an in-house tool that will merge with the devs old databases, according to Bailly. She expects this to make the localization department even more efficient. “It would be irrational to tell you that machine translation won’t have a role to play in localization in the future. But, to me, the biggest issue is that machine translation lacks the cultural added value that localization brings to games and other localized products. At the moment, I am just not convinced by the results of what I recently tested, at least for French (my mother tongue) and for video games’ texts only,” she says. Nous sommes spécialistes en traduction de documents. Nous nous engageons et veillons à délivrer des travaux authentiques et de qualité à nos clients mondiaux.